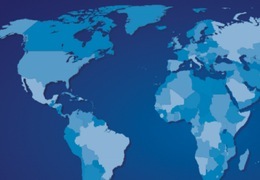 Smith's Executive MBA – The National Program is offered anywhere in Canada, creating a unique national perspective that is not available in other Executive MBA programs. Smith's Executive MBA can be taken in one of two formats, depending on your geographic location. In many major Canadian markets, participants attend classes in a boardroom learning facility. 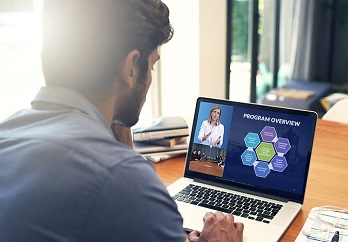 In all other locations, or if required due to work-related travel, participants are placed on a virtual team, attending class from their home or office. Availability: Montreal, Ottawa, Kingston, Toronto, Mississauga, Markham, Calgary, Edmonton and Vancouver. If you live in one of the nine cities listed above, the majority of your class time is spent in your Boardroom Learning Centre, conveniently located in your home city. Availability: Anywhere in Canada outside of the markets where Smith School of Business operates Boardroom Learning Centres. The majority of your class time will be spent in your home or office. You will be part of a virtual boardroom team that draws its members from across Canada and other countries. Learn about the Program from the perspective of a member of a virtual learning team. These sessions are held at the Donald Gordon Conference Centre, a conference facility on the Queen's University campus. In addition to being a world-class learning facility, the Centre is known for its comfortable, private guest rooms, outstanding food and exceptional customer service. Smith's Executive MBA uses a team-based learning approach to create a highly supportive and collaborative learning experience - both inside and outside the classroom. Learning Teams are formed at the beginning of the program and remain together for the duration. Each team is comprised of 6 to 8 members, with an emphasis on diversity of background. Additionally, participants have access to ExecMBA Online; a customized portal and electronic network used to communicate with professors and your classmates outside of class. The network allows you to use your time more effectively, enabling you to download course notes, e-mail, chat or upload assignments from anywhere at any time. In some cases, the program may be taken from certain locations in North and South America, provided internet bandwidth and time zone requirements are met. If you are located outside of Canada and are interested in taking this program, please contact us to discuss the possibility.